After walking through a hedge, Lyle and Danial are transported to a mysterious place…the home of the Hawaiian Menehunes. Working together and with the Menehunes, they hope to get home before the sun rises and they are stuck in the land of Menehunes forever. Elementary school children will be on the edges of their seats to see if these two young brothers make it back home. You never know if the Menehunes will be helpful or play a mean trick. 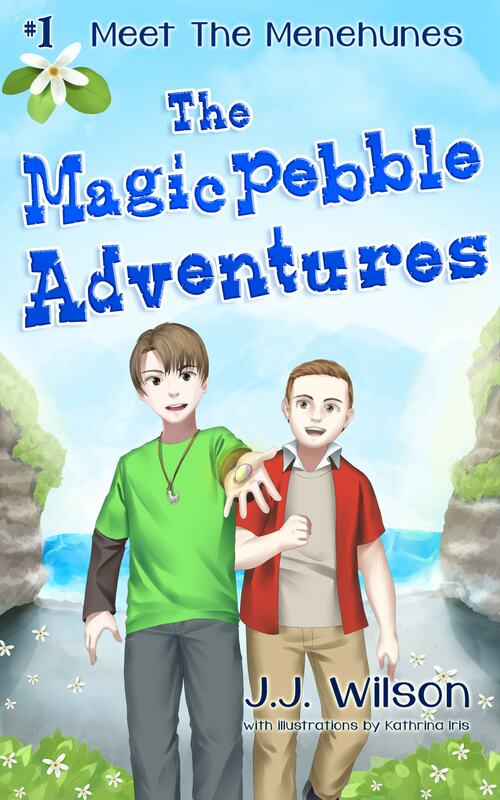 Meet the Menehunes is the first book in The Magic Pebble Adventures series. The setting of this adventure is on the Hawaiian Island of Kauai. Menehunes are legendary craftsman who complete major projects in just one night. Much like the Brownies of European legend, Menehunes are often mischievous and cannot always be trusted.